In Jackson Hole, the season of giving begins long before winter. 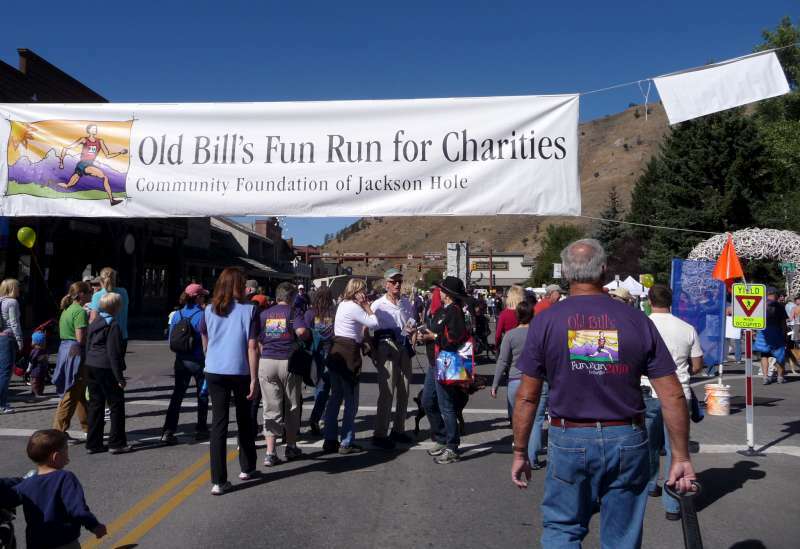 Old Bill’s Fun Run for Charities is a Jackson Hole tradition, celebrating philanthropy and community through a spirited and innovative challenge to raise money for more than 200 local nonprofit organizations. Old Bill’s Fun Run for Charities is held the second Saturday of each September on Jackson Town Square. This year’s events will take place on September 7th. The first Fun Run and donation-raising campaign took place in 1997 when an anonymous couple known only as Mr. and Mrs. Old Bill put forth a philanthropic challenge to the community of Jackson Hole to raise money for nonprofit organizations with the promise of matching the community’s donations. The first year, they matched the community’s efforts donating almost $800,000 for a total of just over $1.8 million. Since then, Old Bill’s Fun Run has become a Jackson Hole tradition and the annual donations raised have increased year after year, with a total of $8.3 million raised in 2012. This year, we’re going for $9 million, an amount that would bring the total raised since the event’s creation to more than $100 million. How does the Fun Run benefit nonprofits? This truly unique and impactful fundraising challenge begins with a donation of $500,000 each year by Mr. and Mrs. Old Bill. This donation is then matched by the Jackson Hole Community Foundation using funds from donors called Co-Challengers. Nonprofits that meet the necessary qualifications are then able to raise individual donations, of which the Community Foundation will match the first $25,000. Additional funds are given to nonprofits through a semi-annual competitive grant. 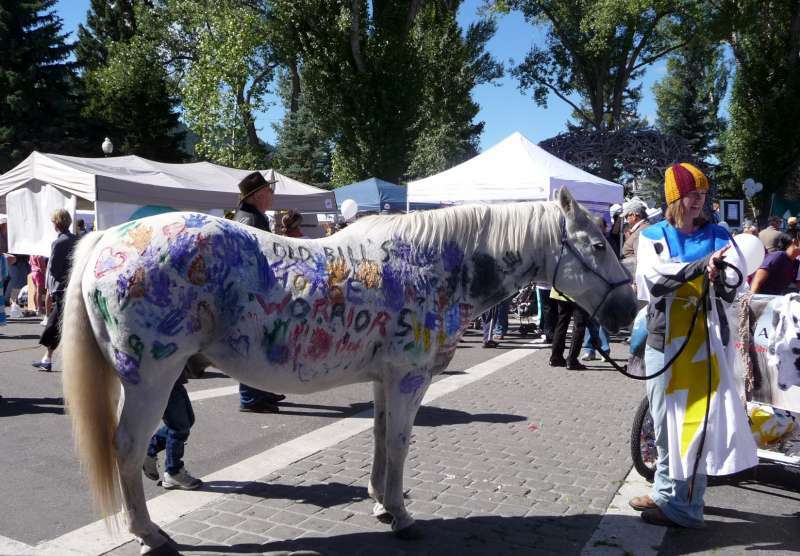 The Fun Run and Walk is the culmination of the months of effort from nonprofits, donors and community members to raise money and raise spirits in Jackson Hole. On the day of the event, the community comes together to celebrate with friendly competition, entertainment, food, and festivity. Runners and walkers can participate in a 5K or 10K race. The event features a recreational division for runners and walkers that just want to have fun and a competitive division where participants are timed. Registration is free for both recreational and competitive walkers and runners if registered prior to race day. Registration on the day of the race is $20 and is available for recreational participants only. You can donate to a nonprofit online through the Community Foundation of Jackson Hole and make a donation directly to the organization(s) of your choice. All Jackson Hole non-profits are listed on the website. After you donate, you’ll receive a tax receipt from the Community Foundation and 100% of your donation will be given to the organization(s) you choose. 2013 Old Bill's donations are accepted through September 13, until 5 pm. Your family or business can also donate by becoming a Co-Challenger, contributing to the pool that will match, along with Mr. and Mrs. Old Bill, the total raised by the community. Co-Challengers can donate at the $25,000, $35,000, $50,000, $75,000 or $100,000 level. The season of giving in Jackson Hole has already begun. Join in the spirit by making a donation, and we’ll see you at Old Bill’s Fun Run on September 7th.